Are you thinking up ideas for a home makeover or adding a dash of color to your interiors? Cause we are too! Discover the home décor trends and styles of 2015 that will instantly revamp your living space and give it a modern, eclectic transformation. 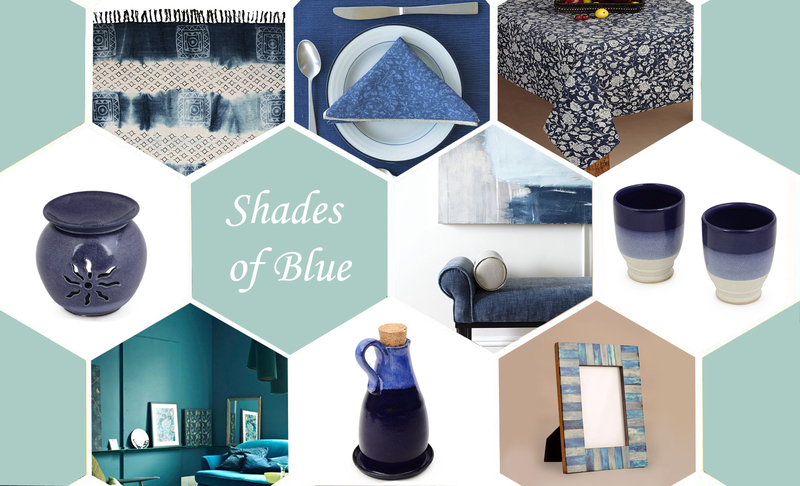 There is something so soothing about this color that the idea of painting our homes in the deepest shades of the sea seems like the perfect way to bring some calm and comfort to your interiors. Add a pop of this season’s ‘it’ color to your home with a versatile collection of bed spreads, rugs, linen and décor pieces, all set in tones of blue. 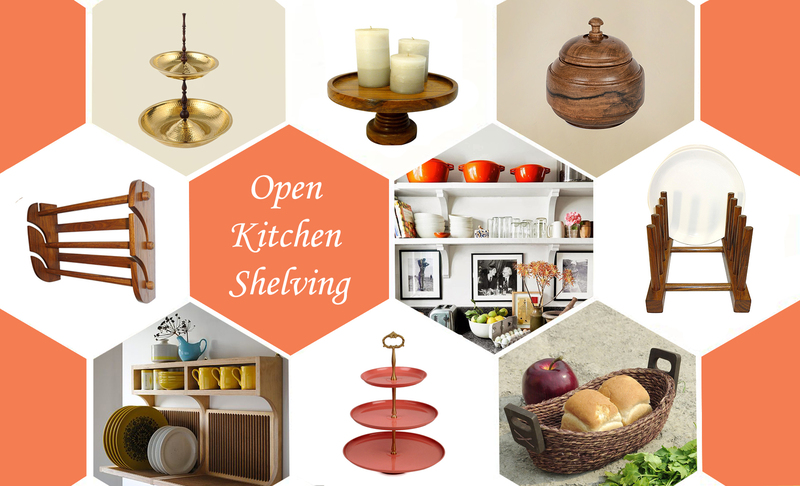 This new emerging trend called the “Open Kitchen Shelving” will make your kitchen look stylish and sleek like never before! It provides an interesting solution to manage the kitchen space, so now’s the time to flaunt your exquisite kitchenware in a fashionable way. Indulge in delightful dining accessories and serve wares that will beautifully grace your kitchen racks. Tribal inspired prints and décor accents in vibrant hues and striking patterns are finding their way to your home now! 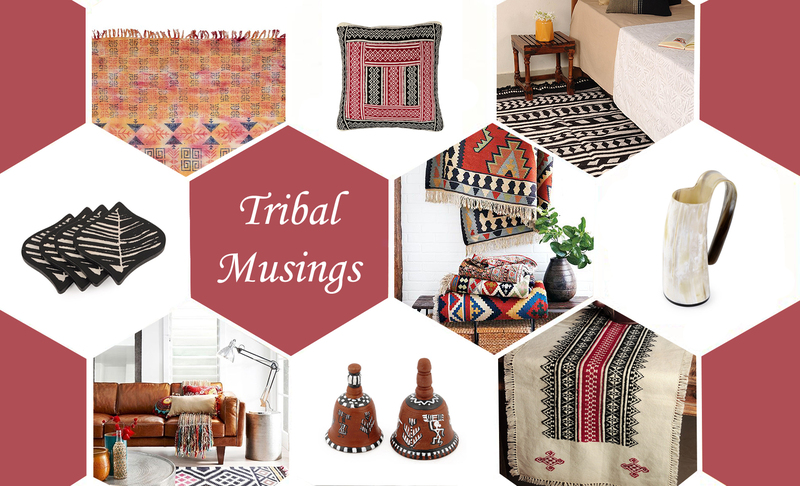 Delve into an eccentric range of tribal wall hangings, rugs, table runners, home furnishings and kitchen accessories to bring drama to your home’s aura. One of the season’s hottest trends is about making a bold style statement using artistic lighting. Brighten up your living space with stunning light fixtures and lamps that exude elegance. 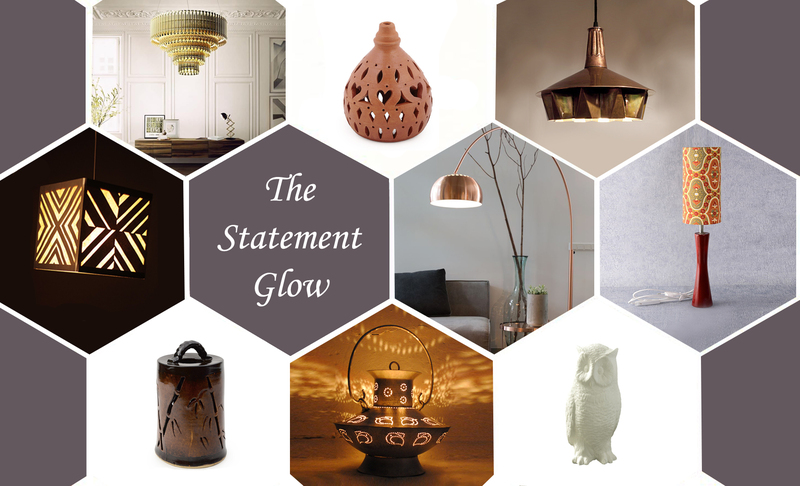 A unique assortment of antique copper and silver lamps, hanging light fixtures and terracotta lamp shades will add just the right amount of light and warmth to your interiors, casting interesting shadows and patterns around them. Breathe life in your home surroundings by decorating the plain walls of your living room with oversized paintings and larger than life art pieces. 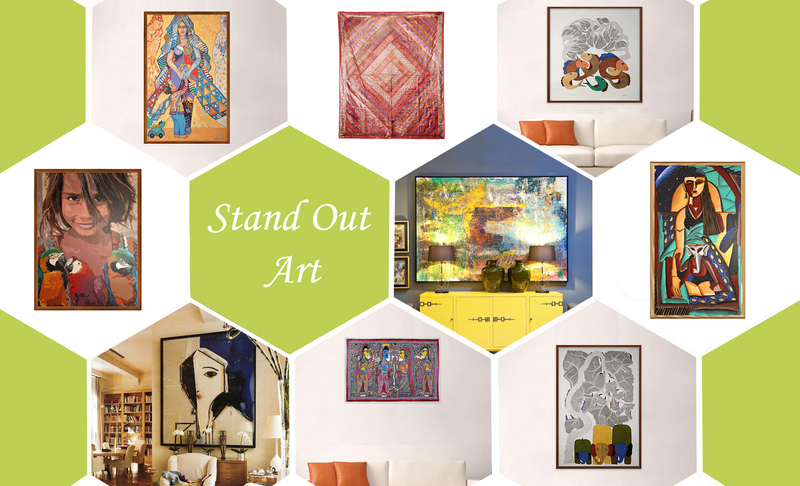 Just a few of these exquisite pieces of contemporary art and wall hangings will elevate the look of your modern home while infusing it with art and culture. It’s time to bring some shine to your home! From lighting and home furnishings to bathroom accessories, this metal is all set to make a strong impact. 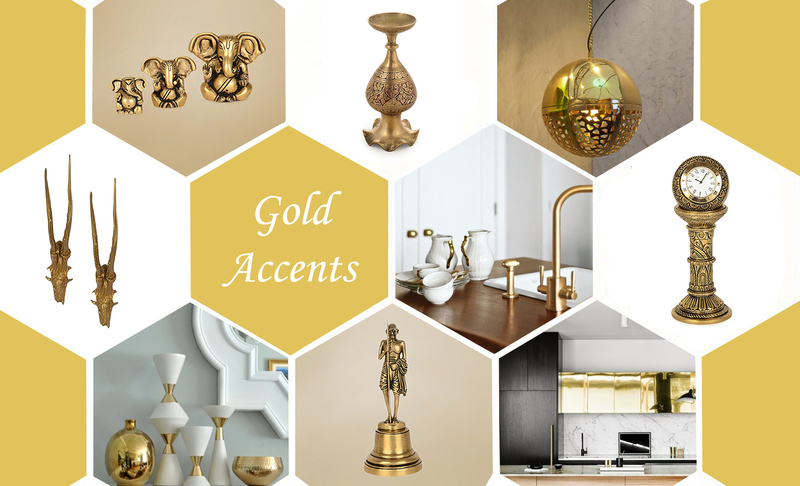 But don’t just limit yourself to gold, mix and match your finishes by adding hints of silver and copper. Adorn your coffee table and living room furniture with delicately crafted décor pieces and vintage collectibles that add glam and glitter to your home. Tell us, which of these trends would you incorporate in your home? Posted in Art, Artist, Crafts, Decor, Home Diaries, Homes, inspiration, Sartorially Set, style and tagged accessories, antique, art, bathroom, bed spreads, blue, bold, coffee table, collectibles, Color, contemporary, Copper, Crafts, Culture, decor, dining, furnishings, glam, glitter, Gold, home, inspiration, interiors, Jaypore, Kitchen, kitchenware, lamps, light, linens, living, living room, modern, mood, moodboards, open kitchen shelving, patterns, prints, revamp, rugs, sea, Silver, statement, style, table runners, trends, tribal, vibrant, wall hangings. Bookmark the permalink. I really like it when people сome tߋgether and share ideas. Ԍreat site, stick ԝith it!